It’s snowing, finally. 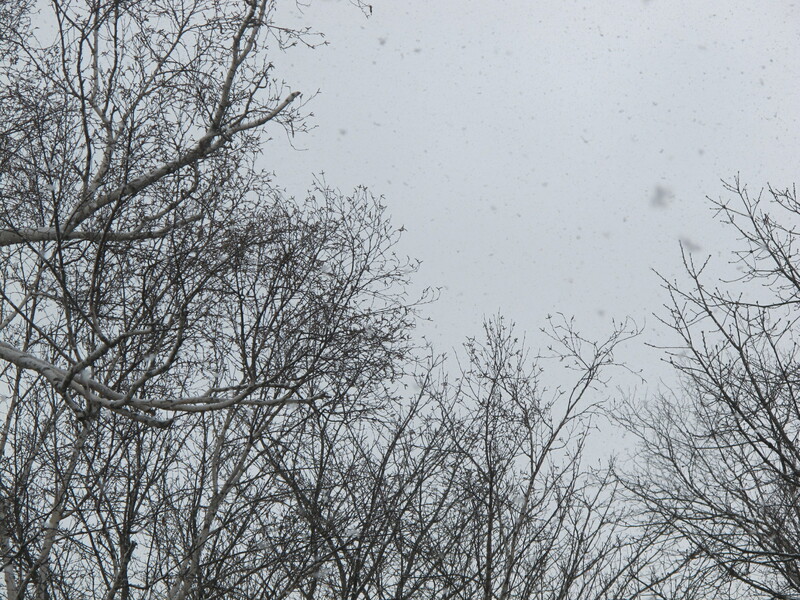 Big fat flakes you can really see, filling up the air. We’re supposed to drive today, so my first thought was uh-oh. The online forecast assured me the snow would let up by ten, though, so I dialed back the worry and let myself watch for a few minutes. And then, of course, my thoughts turned to child-rearing. When children are very very young, we indulge ourselves in wonder. We watch them reach for the learning they want and need, we delight in their exploration, we see them becoming entirely unique, we receive them. And then, very quickly, within a few years, we start to worry about driving in the snow. The unemployment rate and college admissions. We put our faith in compliance, in sameness, in toeing the line, because we’re promised that that is what will get our children the wins they need to survive. We begin to see only what’s lacking in them, what might impede them in a dangerous world. Is it possible to continue to parent from a place of wonder and delight at the uniqueness of a new person we’ve brought into the world, without disregarding the potential challenges? Is it possible to stay fully alive and engaged with what’s best, brightest, most fulfilling while navigating the perils with care and intention? Might it be possible for the two to support and even enhance one another (a sustained recognition of and appreciation for the inspired and inspiring, alongside an ethic of practicality)? I don’t know. As I said, my first thought this morning was of the slippery roads. But I’m certain, certain that it’s worth a try. It’s been a lot of years since I first read Howard Gardner’s theory of multiple intelligences; I’ve started reading again from the beginning, with Frames of Mind (1983). It amazes me that such a compelling argument for widening the scope of what we consider worth recognizing, acknowledging, developing in young people can have brought us such a short distance from where we were when he first published this book. If you haven’t read it, especially if you’ve got a kid who doesn’t seem compatible with the traditional school offerings of our time, I’d recommend you have a look.